Last week, we published some guidelines to help you uncover and stop the SEM theft we’re seeing in nearly every dealership visit. Today, I wanted to tackle the potential Search Engine Optimization (SEO) fraud that also appears to be fairly ubiquitous. 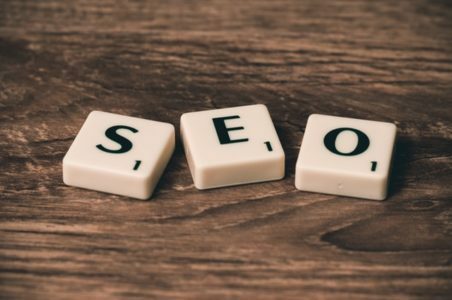 SEO, as a quick reminder, refers to the actions or content a vendor provides on (or on behalf of) your website that makes it appear higher in the Google results for relevant searches. If SEM is pure science (which it is), SEO is somewhat art. Art, as you probably know, is in the eye of the beholder. Unfortunately for car dealers, in the world of SEO, the vendors happen to also (conveniently) be the beholders. That is, it’s the SEO vendors who tell their dealer-patsies, err clients, the value of a given piece of their SEO puzzle. Of course, this makes it especially easy for SEO vendors to “steal” from dealers – intentionally or otherwise. It’s because of this that I’ve only recommended a couple of SEO providers over the past dozen years. There is no magic SEO & no secret sauce – if someone claims to provide this, RUN! I never recommend buying SEO services from your website provider – they should be delivering you a great search-visible website right out-of-the-box. Good SEO is simply Good Content + Good Distribution. Any SEO vendor should be able to answer the question: How will you create good content and ensure it is well-distributed? The impact of SEO is 100% measurable; but, Google Analytics and Vendor SEO Reports are lousy for telling you what you really need to know about your search visibility. If there is no actionable information on these reports, stop reviewing them. In fact, let’s take point 4 (above) a little further: When your SEO vendor (or, really any marketing provider) shows you their reports, ask them whether this data point or that data point can give any insight into whether you should spend more, less or the same with them on this service. In other words, is the information on the reports actionable? Can/should we take some action based on the data? If the reports don’t provide guidance, then stop reviewing them – they’re just fluff – and consider dropping this service altogether. It’s possible to make your SEO less art and more science simply by reviewing the right data on a weekly or monthly basis. This data, by the way, is really all you need from your SEO provider (not all the fluff they currently show you in their reports). How do I compare to all competitors for the important keywords in my market? If I’m not #1 for a keyword, who is? What is my relative rank on “near me” searches in my market? How did I improve/decline relative to others week-over-week? Who got the Google My Business result and on which keywords? Who is included in the Local Pack and on which keywords? Don’t worry if some of these questions are confusing to you, because every good SEO should have no problem answering and explaining these for you. All you need to do is ask. « It’s Time to Stop SEM Theft	» Offering Alternate Vehicles in your Email Responses – Should You or Shouldn’t You?